When it comes to toys, LEGOs have been around forever! They still remain as one of the top toys for kids. Even in this digital age, children still absolutely love building with LEGO blocks. It’s amazing to think these came about back in 1949! 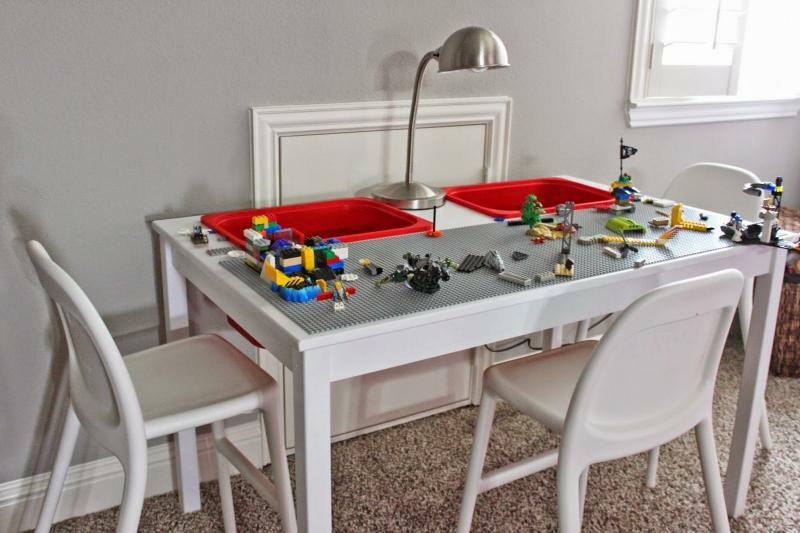 Something that has also been around since ‘49, is the dreaded “LEGO cleanup” that parents have continually gone through for decades now! 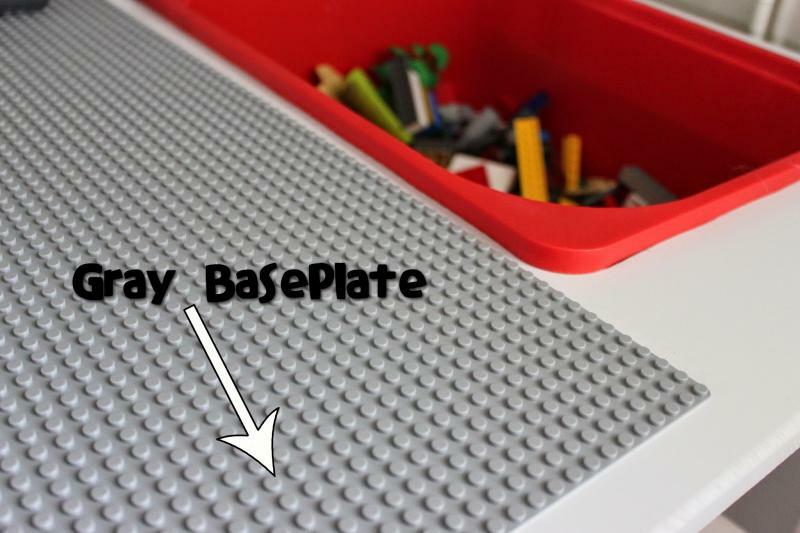 All parents have no doubt had that moment walking across the floor and painfully stepping on a stray LEGO piece! Ouch! “It took about one day of me stepping on teeny-tiny pieces to decide I had to do something to organize it all,” she wrote in a post. Boy, can parents everywhere relate! 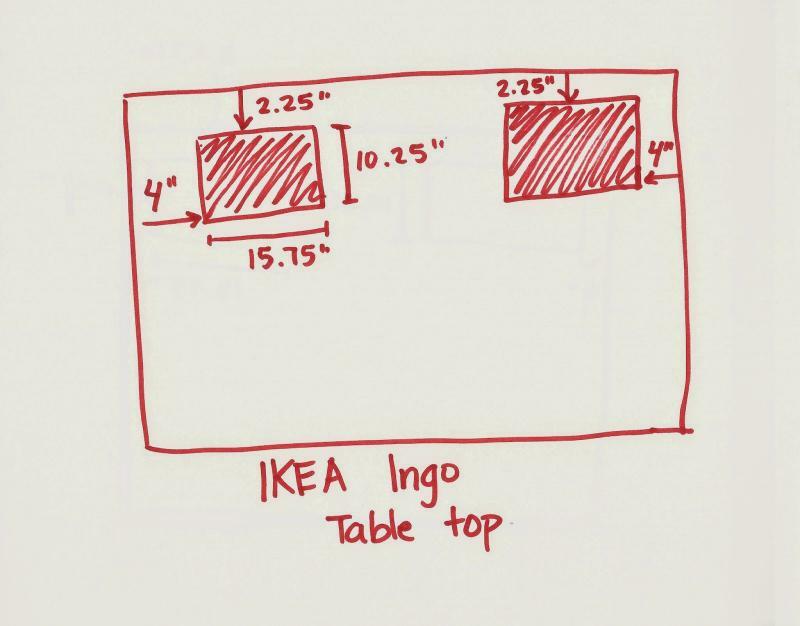 First you want to put the IKEA table together. Next, figure out how many buckets you want to have on the table. The inventor here wanted two which were side by side and horizontal. 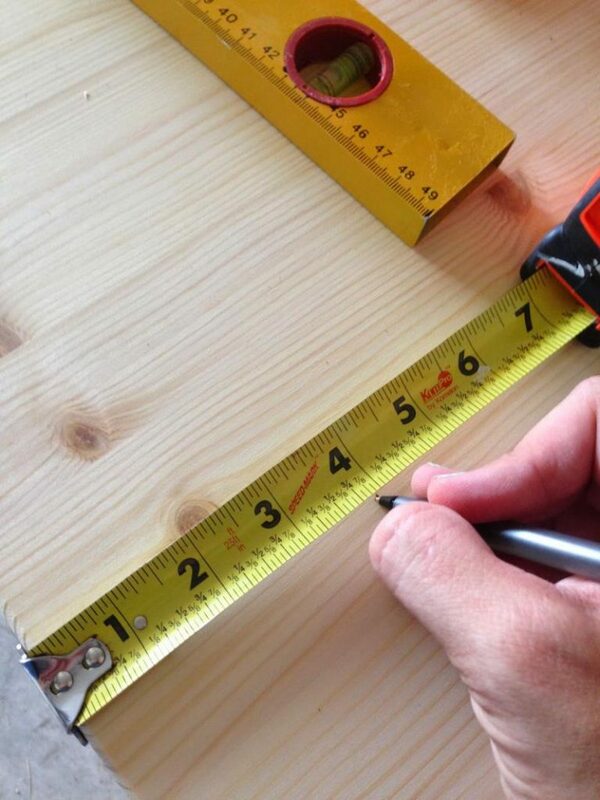 Measure the length and width of the buckets, and mark the placements on the table. 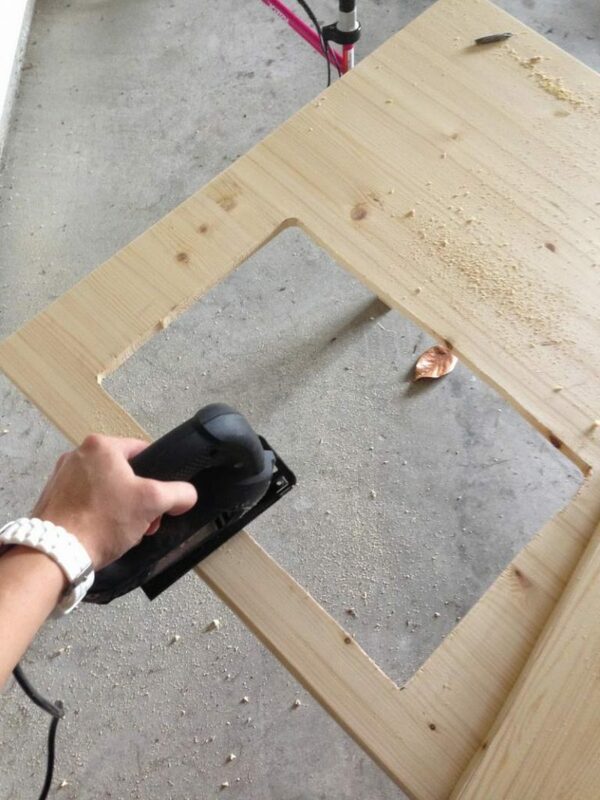 Next, you cut out the rectangles on the table. 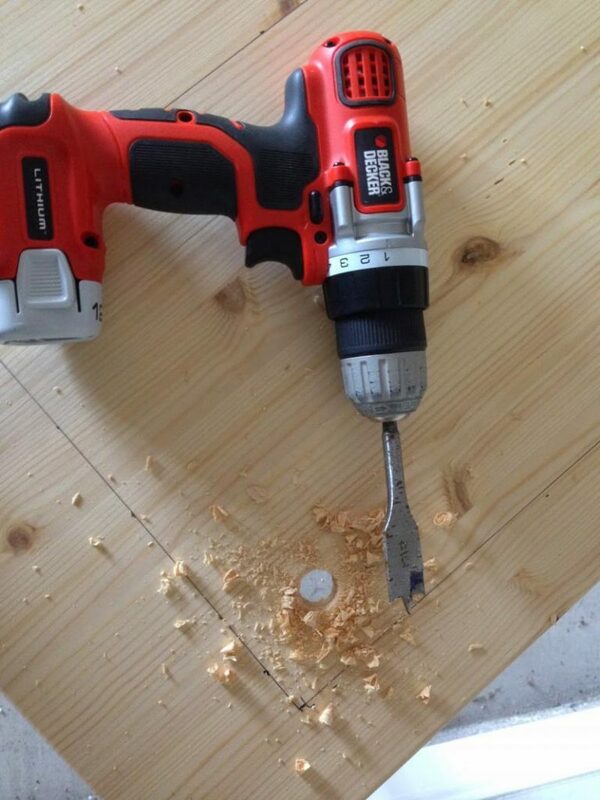 A spade drill bit works for making the holes in the upper corners of the table. 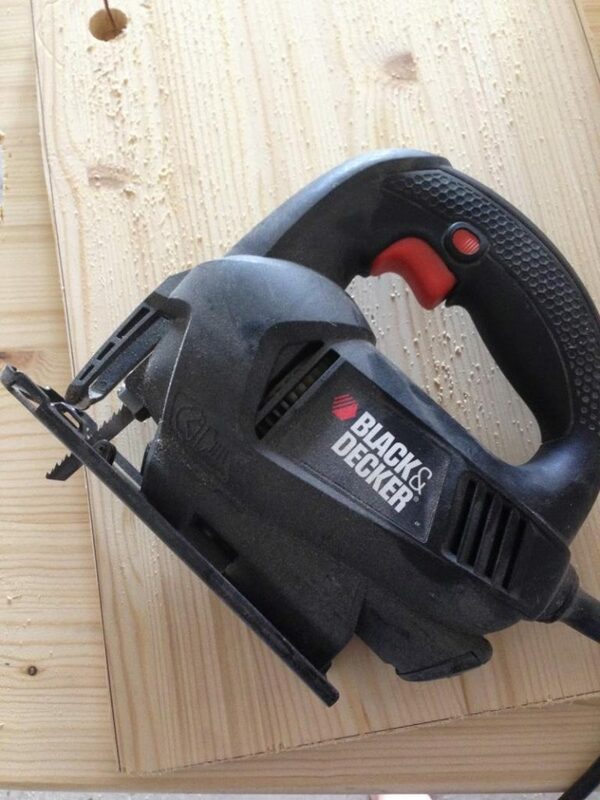 A jigsaw is used next to cut out rectangles. She uses lines that she had drawn as guidance. 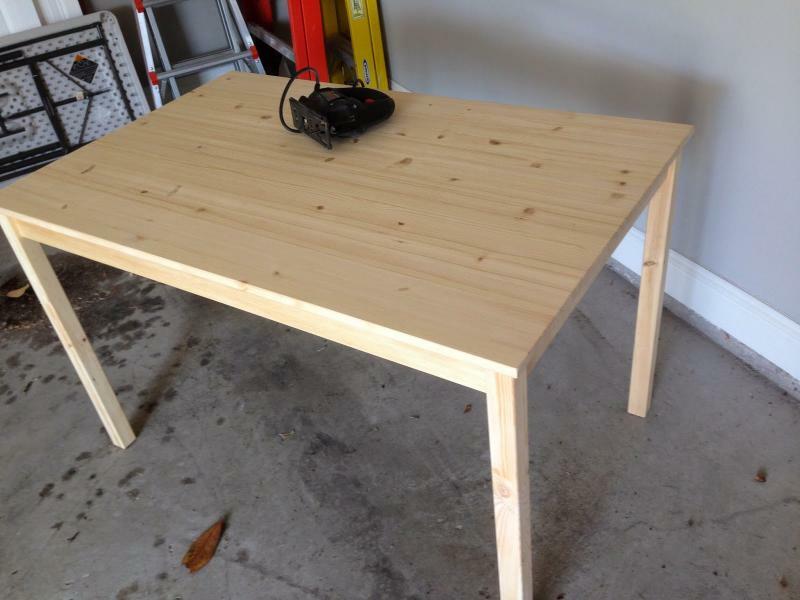 Table with the two rectangles cut out and edges sanded. 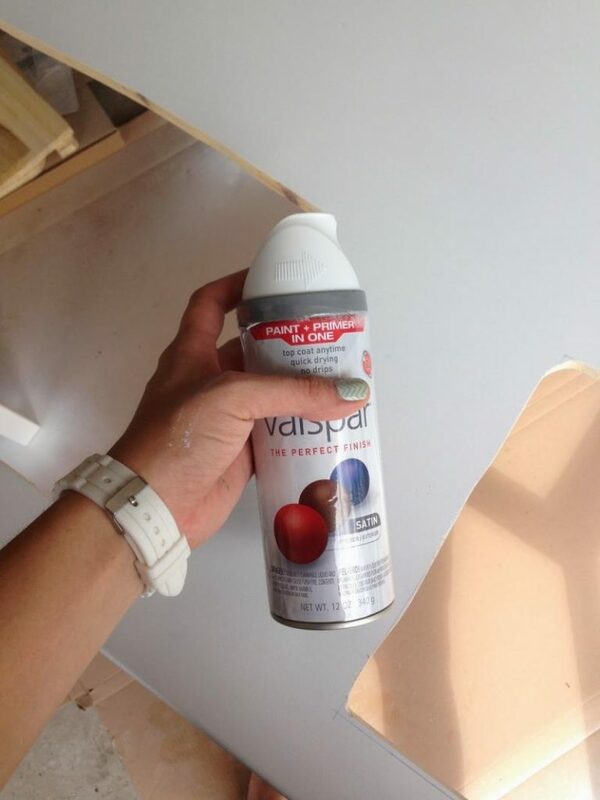 She then spray painted it before putting a non-yellowing sealant on it. Now the bins go right into the holes! Nice and neat! 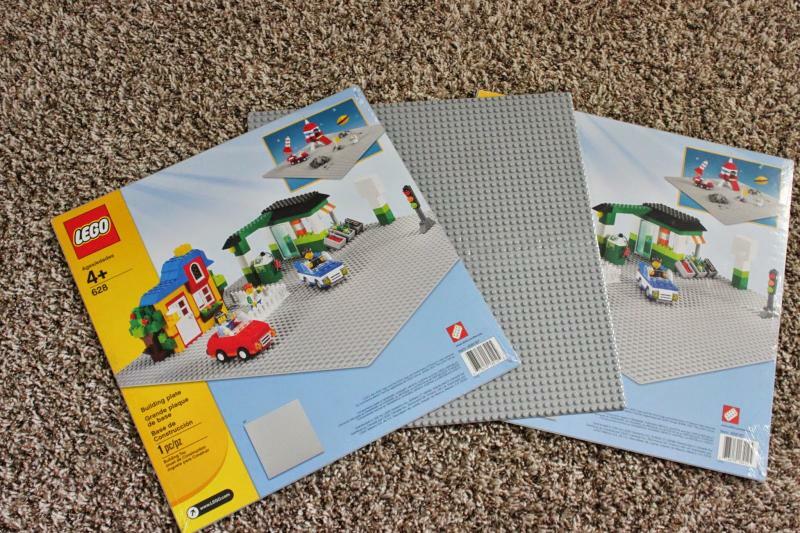 No more pieces all over the place, plus a great play station to build your legos on! 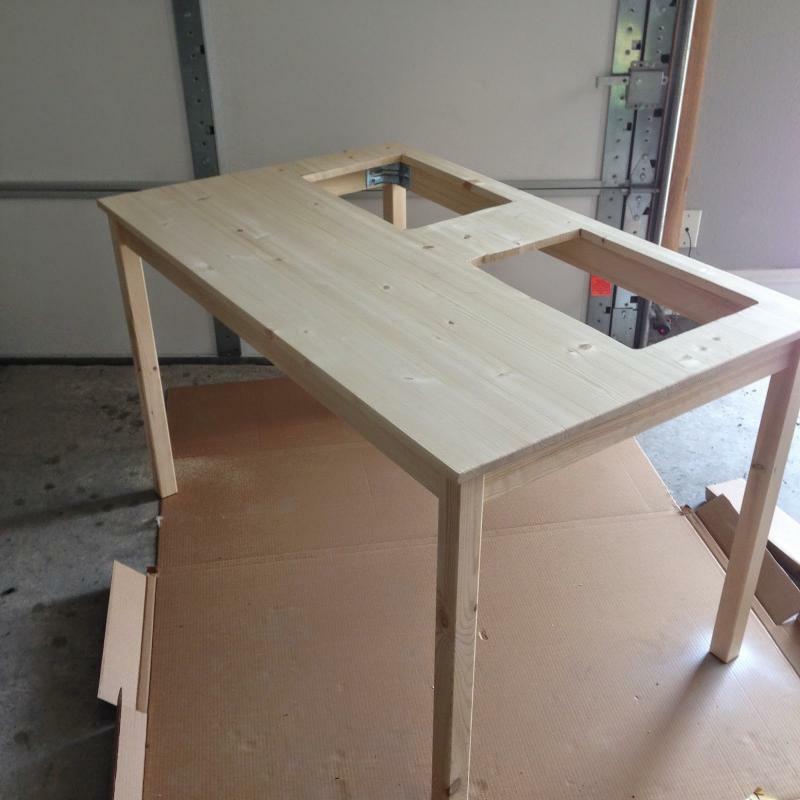 Some 15×15 gray base plates glued to the edge of the table are also applied, and three are used for the length. 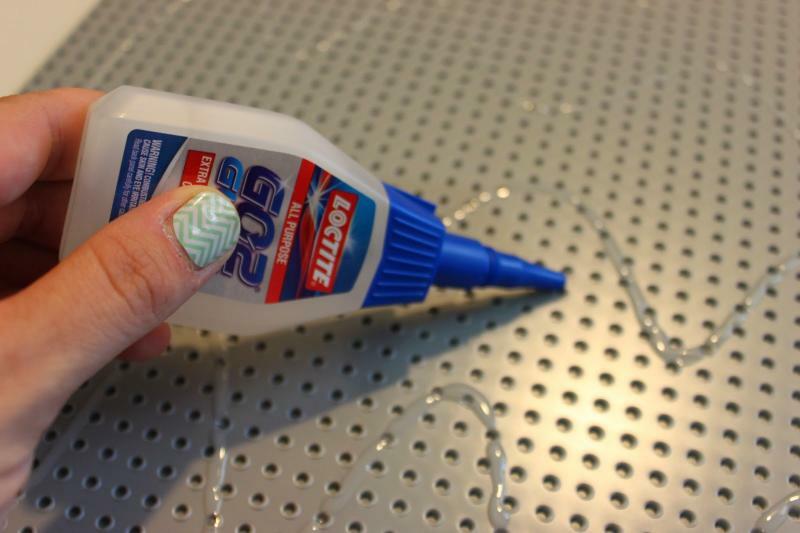 Just some super glue is needed. Securely adhered to the table! 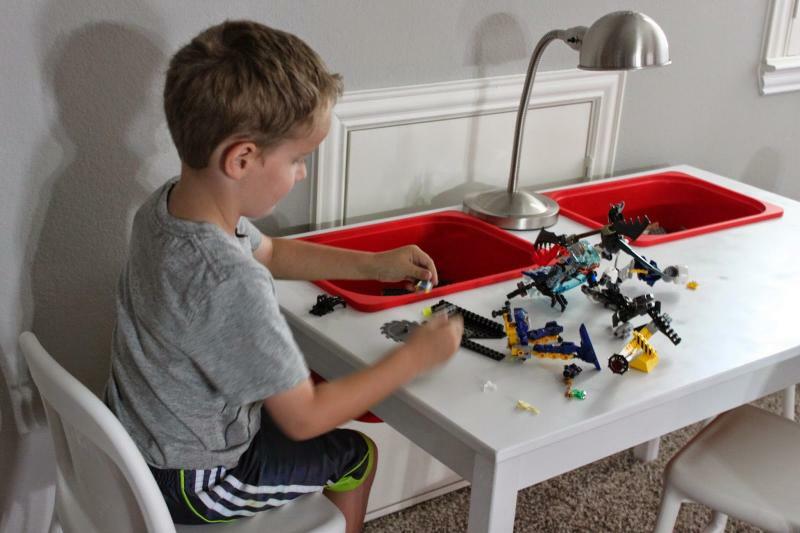 Her son LOVES his LEGO station! 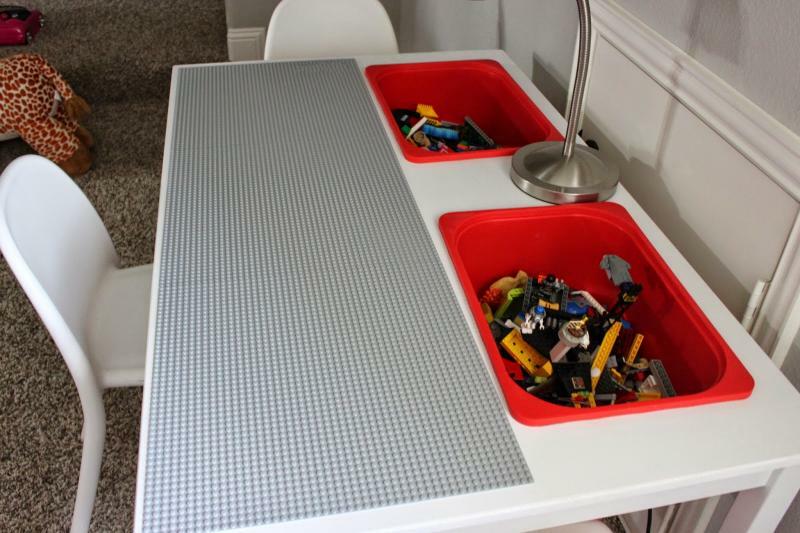 What a cool project which kids really dig and parents will love as it totally lessens the dreaded LEGO clean-up process!